The cousins are cleaning the dojomanse. 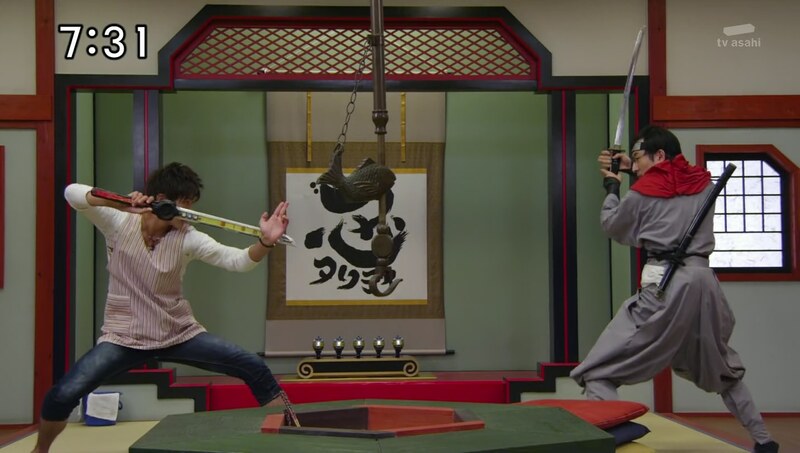 But Father decides he wants to duel with Takaharu. Father is pretty good and gives Takaharu a tough fight. Tsumuji walks into the living ro… Tsumuji?!?! Turns out the skilled ninja is actually Shurikenger. He’s here because the Committee for the Preservation of Ninja Honor would like them to have a winter review after the previous visits. 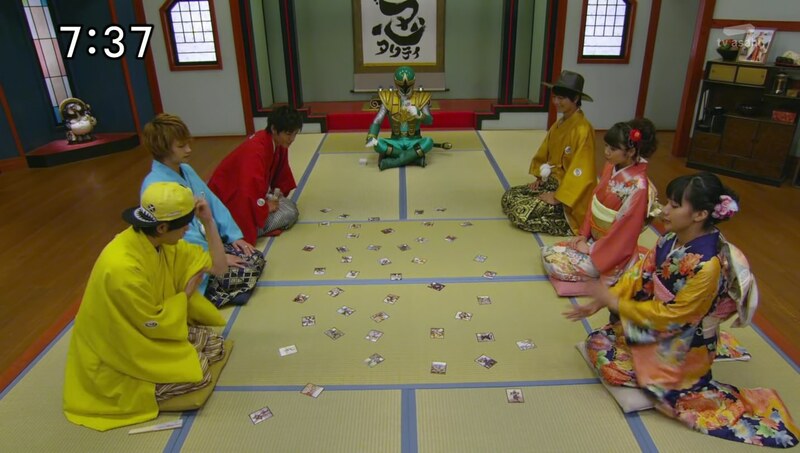 Shurikenger says they will first review the Youkai they have defeated using Youkai Karuta Cards. Meanwhile, Ariake no Kata tries looking for her son, saying she is not mad he almost killed her. Masakage arrives and does not tell her he is dead. Instead, he says he’s gone to battle. Ariake no Kata is relieved because she had a bad feeling. Back at the dojomanse, the Ninningers begin their karuta game. They recap different defeats and learnings and new toys and defeating monsters that killed their fathers and brothers. Father decides to join in the game too when he remembers getting tricked by the umbrella octopus but also being able to help Takaharu with some Ninpou. Without any of them knowing, a Sealing Shuriken literally walks into the living room and inserts itself into all the remaining cards. When they resume the game, the card Fuuka is about to choose gets quickly switched to the wrong one. She then gets sucked in. Shurikenger says he didn’t use any Ninpou to enhance the cards. Suddenly, the Gamagama-jus react and a voice comes out of nowhere. Youkai God Fudagaeshi admits sucking Fuuka into the card. Fuuka is taken into a live flashback of the Yamabiko incident. She remembers what happened, but Yamabiko appears and attacks her. Fudagaeshi says the Youkai in the Karuta are upgraded versions. The only way to save Fuuka is to finish playing Karuta. Fudagaeshi gives more clues which Yakumo and Kasumi get “wrong,” so they too get sucked into flashbacks. Nagi has an idea and the four of them remaining in the living room give it a try. 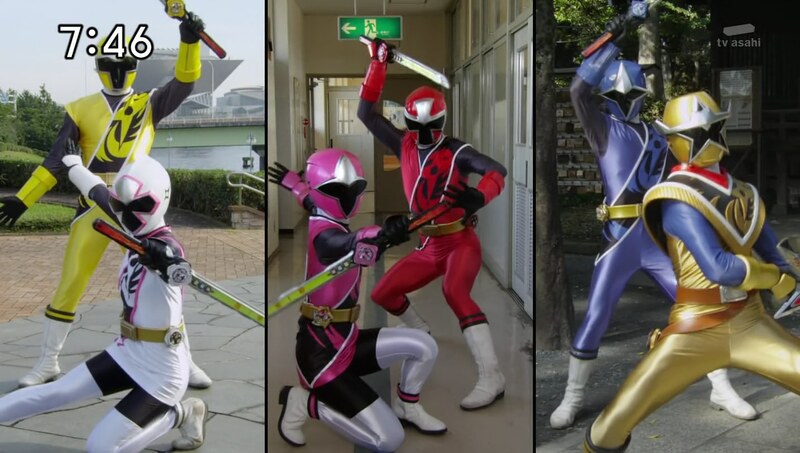 Shurikenger gives three clues and Nagi, Takaharu and Kinji purposefully get them wrong so they can head into the flashbacks to help their cousins. 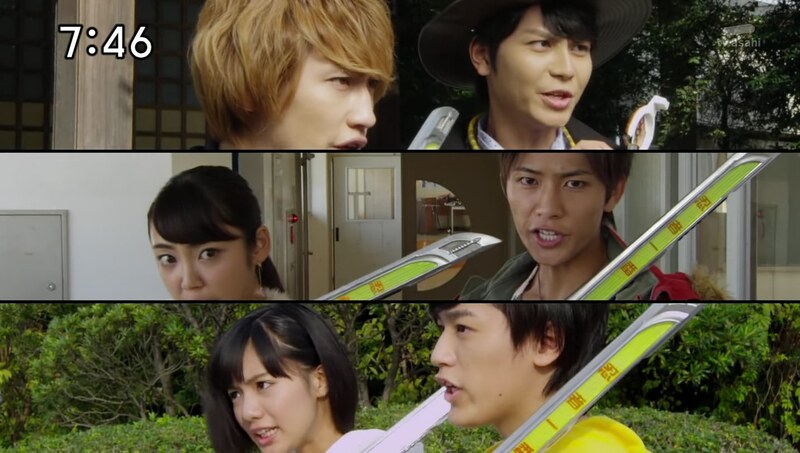 Nagi helps Fuuka, Kinji goes to Yakumo and Takaharu helps Kasumi. And they all easily take care of the three undead Youkai which allows them all back into the real world and out of the cards. Fudagaeshi resurrects more Youkai and they fight them in the living room. 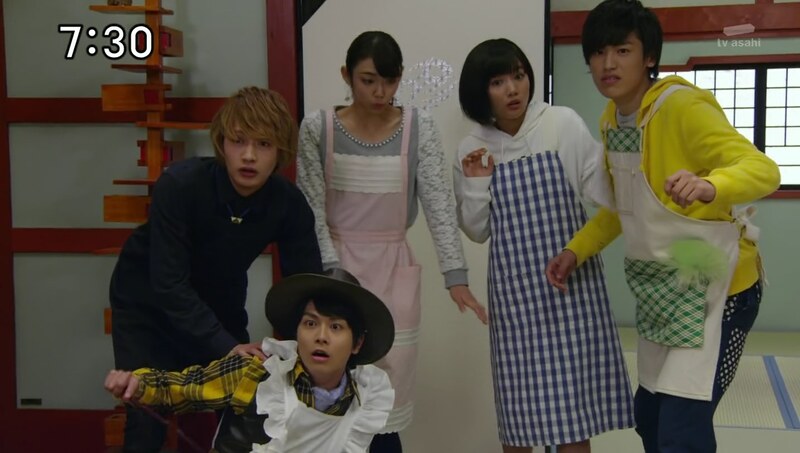 Shurikenger helps them out as well and prevents Takaharu from Chozetsu-ing the dojomanse. There’s one card left. And it turns out Fudagaeshi wasn’t “god” kami, but “paper” kami. He’s just a regular ol’ Youkai. Fudagaeshi, still in the card, hops around the living room so Takaharu uses Shrinking Technique to make himself small and able to also hop around. 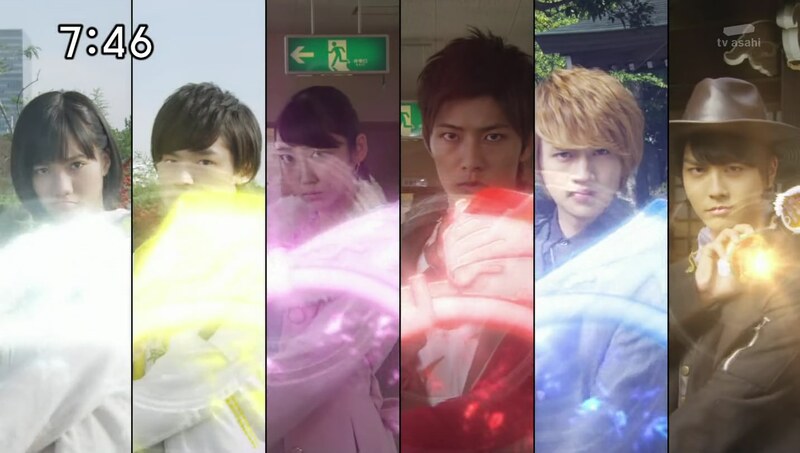 With only a small amount of Chozetsu in small form, Takaharu is able to use his transcendental slash to defeat Fudagaeshi. The Ninningers clean-up after Fudagaeshi’s mess. 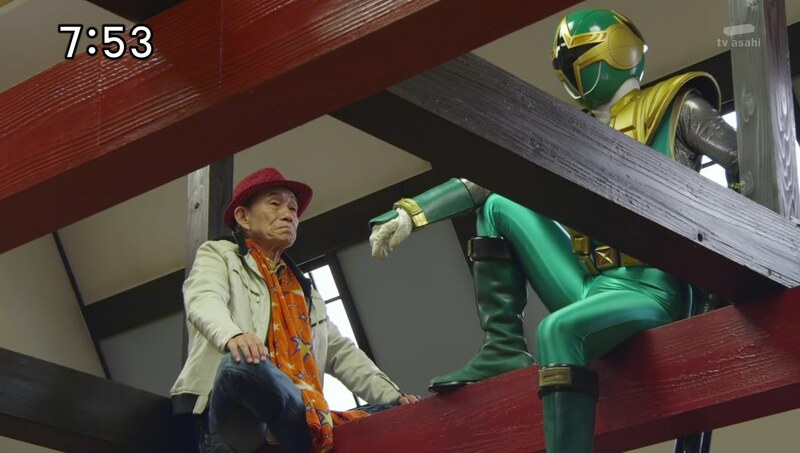 Up on the rafters, Shurikenger compliments the cousins to Grandfather and says to call whenever he’s in trouble. The cousins ask Grandpa to watch the dojomanse while they go out. In the forest, Ariake no Kata continues looking for Mangetsu but instead, she finds Kyuuemon. Kyuuemon tells her Mangetsu is dead because of the Ninningers. She is beside herself and explodes in anger. Quite literally. She explodes into rain and Kyuuemon happily revels in this immense fear that has sprung. This is now the time for his father to revive! The Ninningers are on their way home from New Year’s shopping when the Earth suddenly starts to shake. Grandpa arrives as they watch a dark tornado appear on the horizon. He tells them it’s Kibaoni Gengetsu and he is reviving. So, the end of season recap episode is not a surprise. And apparently it was also a way to help promote the movie by showing how awesome free karuta cards are. At first I was a little upset hearing this was a recap episode, especially with the three week break coming up. But on the other hand, this episode was also an example of typical storytelling where we have the heroes falling into a sense of comfort and complacency (celebrating New Year’s, playing cards, defeating an easy opponent) before they are faced with something HUGE!!!! In this case, it is Kibaoni Gengetsu finally popping in. 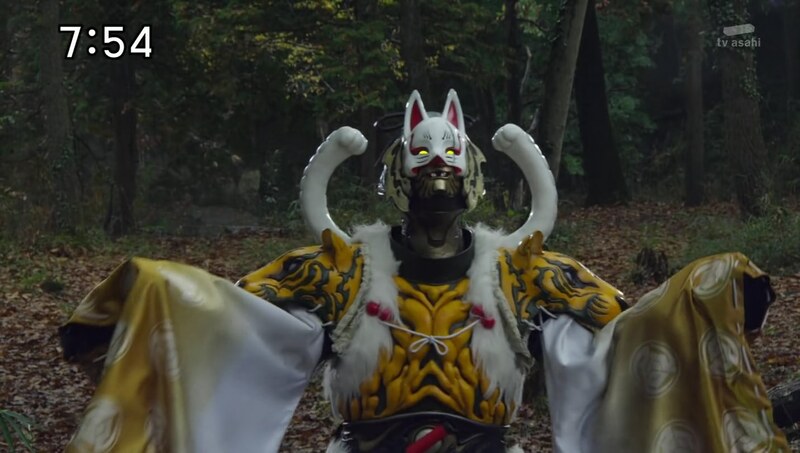 I think Kyuuemon will still be the final big bad of the season. I can see Gengetsu ending up as just an afterthought and getting defeated well before the season finale. 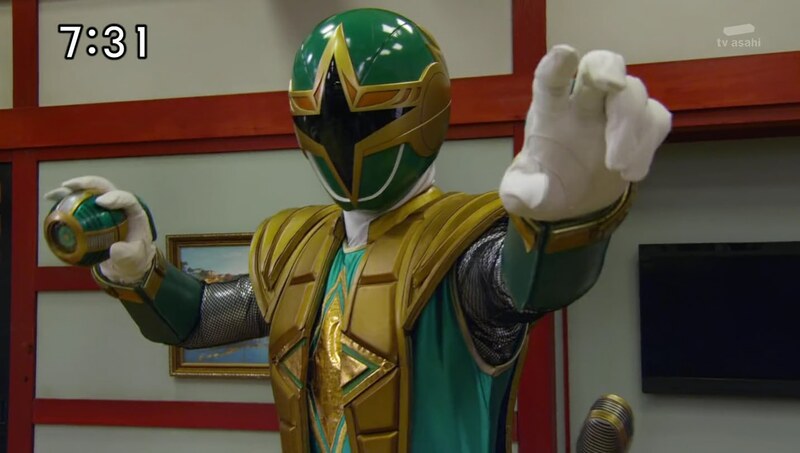 Seeing Shurikenger is funny for me because having never watched Hurricaneger, I know of the suit as a Samurai (Cam from Ninja Storm) and not as a ninja like he is here in Sentai. Just an amusing feeling. Overall, a typical recap episode. But I wish it was a little more exciting going into the long three week break. 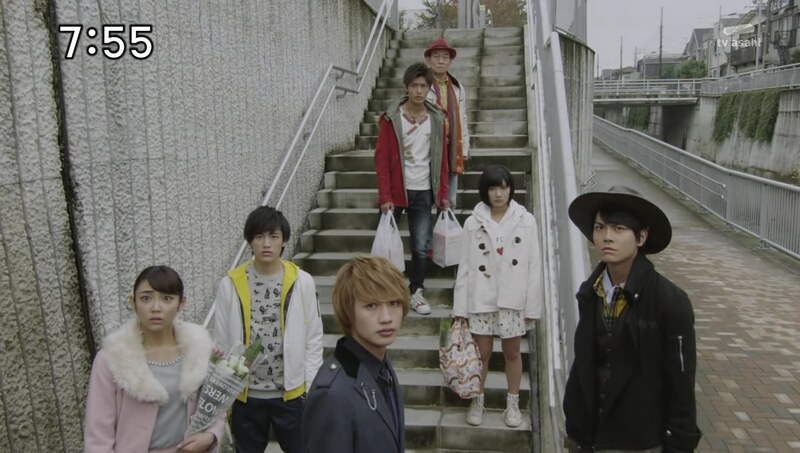 ← Recap: Kamen Rider Ghost, Episode 11 – Magnificent! Mysterious Eyes!